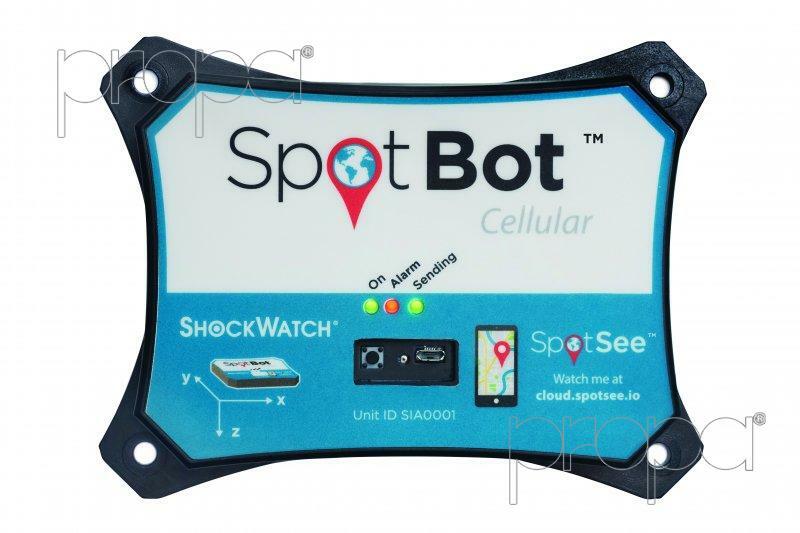 SpotBot Cellular is a device that, thanks to cellular connectivity, delivers tri-axial impact monitoring, temperature monitoring and tracking. The graphs you can download once data are collected, are easy to read and include data such as specifics of impact with locations, impacts over time, histogram and temperature. The news is that this can have two threshold set up, high and/or low temperature: the recipients configured during the setup process of each unit will receive an alert by e-mail if one of these is exceeded. SpotBot Cellular becomes a complete device for those who need to control their goods during transportation. Our techincal service is at your full disposal if you need more information about SpotBot Cellular.